Rhinoplasty is the medical term for surgery of the nose. It is derived from two of the Greek words that mean to the change the shape of the nose. Rhinoplasty, or septo-rhinoplasty, can be performed for cosmetic purposes, to improve nasal breathing, or to repair the injured nose. As an extensively trained facial plastic surgeon in Glendale, Dr. John Vartanian’s goals in rhinoplasty are to improve the nose so that it looks beautiful, allows for normal breathing, and appears in natural harmony with the individual’s facial features. Dr. Vartanian spends two-thirds of his time performing primary rhinoplasties (first-time nose surgery) and the other one-third correcting complex problems from previous surgery elsewhere (revision rhinoplasty). During the consultation process, he will discuss in depth your individual features and your nasal improvement goals. Each nose is different and requires a unique approach. 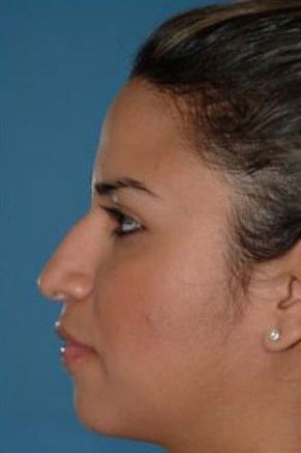 Using either a closed or an open rhinoplasty approach, Dr. Vartanian can improve noses without changing the desirable and unique characteristics of the patient’s nose, face, or ethnic features. Dr. Vartanian is an experienced rhinoplasty surgeon, having performed over a thousand nasal surgeries of various difficulty levels. With over ten years of experience, Dr. Vartanian’s training and background has also involved working with some of the best rhinoplasty surgeons in the world including: Drs. Dean Toriumi, M. Eugene Tardy, J. Regan Thomas, Gary Burget, and Frank Kamer. The approach to each nose is customized based on the patient’s requests, nasal anatomy, and other factors. Prior to rhinoplasty surgery, Dr. Vartanian discusses the patient’s specific goals during a one-on-one consultation. Dr. Vartanian listens carefully to each patient and shares his recommendations in understandable terms. By using an individualized approach to each rhinoplasty, he avoids creating the cookie-cutter, fake looking noses that we sometimes see. During the consultation process, Dr. Vartanian can simulate possible outcomes on our computer imaging system based on your cosmetic goals and desires. It also allows Dr. Vartanian to understand exactly what you have in mind. Dr. Vartanian provides the patient with a printed copy of the before-and-after simulation to take home, and saves the images for later use. Dr. Vartanian uses these modified simulation pictures during surgery to remind him of the patient’s specific requests and guide the planned cosmetic outcome. In nasal surgery cases where nasal breathing, nasal allergy, or sinus problems are present, a portion (or all) of revision nasal surgery case may be covered by third party entities, such as your insurance company. During the consultation, Dr. Vartanian can share with you whether your insurance can be used for the reconstructive, functional, or medically necessary portion of your nasal surgery. Dr. Vartanian’s approach to nose surgery is always customized to effectively address individual needs. For some patients, very minor changes are requested and/or needed. In other cases, dramatic changes to the nose may be in order. In any case, rhinoplasty can significantly benefit the patient’s self-esteem and physical beauty. Improved nasal breathing from nasal surgery can also have long-lasting health benefits. Rhinoplasty is sometimes also referred to as septo-rhinoplasty because the septum (the partition in middle of the nose) is usually involved in the operation. Referred to by leading plastic surgeons as an “operation of millimeters,” rhinoplasty is often regarded as the most demanding plastic surgery procedure and it is a sub-specialty within general plastic surgery. Dr. Vartanian is a rhinoplasty expert with a deep passion for nasal surgery and the surgical experience to deliver excellent results. Prior to rhinoplasty surgery, Dr. Vartanian discusses the patient’s specific goals during a one-on-one consultation. During the consultation process, Dr. Vartanian simulates surgical results on a computer imaging system based on the patient’s cosmetic goals and desires. Dr. Vartanian uses the modified simulation pictures during surgery to remind him of the patient’s specific requests and guide the aesthetic outcome planned with the patient during consultation(s). Cold-technique rhinoplasty, where nasal tissues are cooled during surgery to minimize swelling and bruising. Form fitting thermoplastic nasal cast and compression taping to decrease immediate post-operative swelling. In addition to cosmetic concerns, Dr. Vartanian spends a great deal of time fixing breathing problems so that patients will have improved nasal breathing. Some of the techniques used include: expanding the internal nasal valve area, straightening the septum, reducing enlarged turbinates, and performing sinus surgery. Dr. Vartanian can also improve nasal breathing, reduce snoring (apnea), and sinus problems without changing the shape of the nose. In such cases, functional nasal surgery can be performed with very little downtime and may be covered by insurance. Dr. Vartanian does not like to use nasal packing. The avoidance of nasal packing helps improve post-surgery comfort and recovery, allows for easier nasal breathing immediately after surgery, eliminates the chance for toxic shock syndrome, and helps preserve the delicate work he has performed on the nose. Operation times are usually between 1-3 hours, but vary depending on the extent of the surgery, with patients typically able to return home on the same day as their procedure. As with most facial plastic surgery procedures, recovery times will differ between individuals. For most patients, minor bruising and swelling is common and will diminish over time. It is a good idea to take about a week off from work or school in order to fully recover after your procedure. Many patients can return to work in a matter of days, but most choose to do so after the nasal cast (bandages) have been removed five to six days after surgery. Dr. Vartanian recommends that exercise or strenuous activity be limited for about a month following surgery. He also advises patients to avoid contact sports for at least four to six weeks. You should also take special care to protect your nose from trauma in the months following surgery. It is important to remain in contact with our office after your procedure so as to ensure you are healing properly. I had a rhinoplasty about 6 weeks ago. I have absolutely no complaints. Dr. Vartanian and his staff made the experience as enjoyable as possible. While results can vary from patient to patient, the typical patient in our practice experiences minimal bruising, takes little to no pain medications, has the nasal bandage removed in six days, and is back to work or school in about seven days. How long will the procedure last? Rhinoplasty procedures vary among individuals, most are between 1-2 hours. Dr. Vartanian can give you an estimate based on your specific needs during a consultation. Who performs the procedure? Dr. Vartanian performs all rhinoplasty procedures himself from start to finish. What is recovery like? You can generally resume your light daily routines after several days and strenuous activity after four weeks. Discomfort, bruising, and swelling are typically mild and can be alleviated with medication. What about results? Results are long-lasting and can improve facial balance and symmetry, as well as nasal functions such as breathing through the nose. 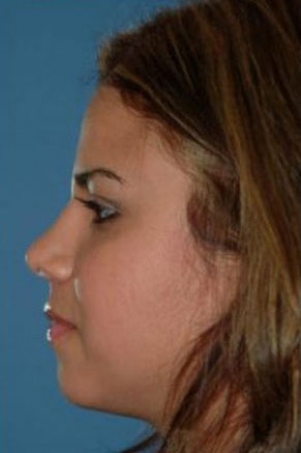 Take a look at our before and after rhinoplasty gallery for some examples. For more information on rhinoplasty and how it can help you achieve your cosmetic goals, please contact Dr. Vartanian to schedule a consultation today. Our staff will be happy to answer any of your questions and assist you in any way we can.